The Bijagos Archipelago constitutes the first of five ecoregions— the Zone Insulaire de Guinée-Bissau (ZI-GB – Guinea-Bissau Island Zone). On the mainland, two distinctive ecoregions make up the coastal area. The first is the Zone des Estuaires de Guinée-Bissau (E-GB – Estuaries of Guinea-Bissau) where the narrow land-water interface presents a complex system of estuaries, lined with mangrove forests, tidal flats, and herbaceous savanna fringed with palm groves. Just inland is the Zone Côtière de Guinée-Bissau (ZC-GB – Guinea-Bissau Coastal Zone), a low, rolling plain and broad valleys devoted in large part to agriculture, carved out of remnants of Sudanian and Guinean Zone woodlands. 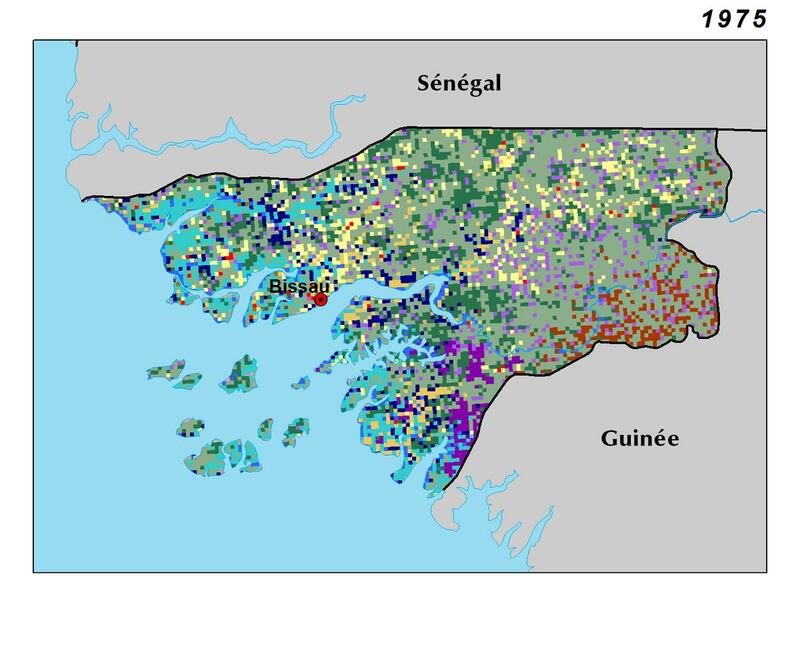 In the northeast is the Zone Soudanienne de Guinée-Bissau (ZS-GB – Guinea-Bissau Sudanian Zone), a transition zone of wooded savannas on ancient bedrock between the high Fouta Djallon in Guinea and the coastal lowlands. In the southeast lies the relatively remote Zone de Colline de Boé (ZCB – Boé Hill or Upland Zone), a dissected upland capped by extensive laterite soils and herbaceous bowé formations.